This happens when I use the UI and Drush cex. The config.tar.gz is created in the tmp folder but nothing is created in the sync folder that I created in sites/default. I have searched for similar tickets here, on Drupal.org and searching in google! I find references to folder and file permissions (I have tried 777 on most) and references to a .htaccess file in the sites/default folder with specific content. I have tried variations of the $config_directories definition including the commented out version. I also defined the sync directory to be 'sites/default/sync'. I have created the 'sites/default/sync' directory. I have tried deleting the config.tar.gz in the tmp directory which gives the log message 'The file tmp/config.tar.gz was not deleted because it does not exist.' and then creates the config.tar.gz file in the tmp directory. I have tried find . -name *.tar.gz to search all the directories for any such files in case it has put it somewhere unexpected and no luck! Ubuntu 18.04, DDEV 0.18.0 (Nginx 1.14.0, PHP 7.1.16-1+0~20180405085551.16+jessie~1.gbp4937aa, Database 5.5.5-10.1.28-MariaDB ), Drupal 8.5.5. I have done these tests on a standard Drupal installation with the only additional module being Backup and Migrate 8.x-4.0. I have enabled a few of the core modules not enabled by the standard installation (e.g. Media). There don't appear to be any messages in my latest Drupal error log for today (my most recent test of this bug). Is there anything else I can supply that might help diagnose what I am doing wrong? 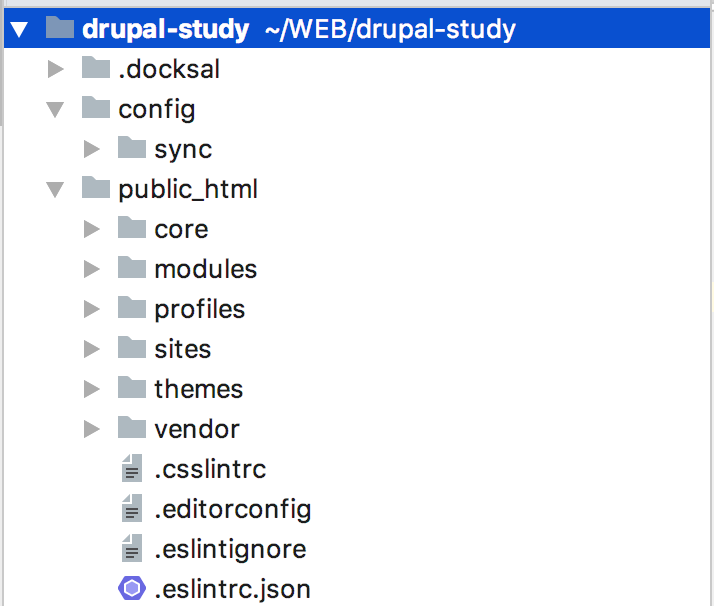 The best way to store configuration is to store it outside of Drupal root directory. config/sync is a directory with your sync configuration. public_html is a directory with your Drupal 8. That's all. In config/sync directory you will a files list of all your configuration.